Main series will be 10 issues plus an epilogue, starting in March & finishing in June (3 issues ship in March, 3 ship in April, 2 ship in May, 2 plus the epilogue ship in June. Creative team for the main series is now Brian Bendis writing with Bryan Hitch, Brandon Peterson & Carlos Pacheco sharing the art duties. Despite being originally announced in 2011, the event will take place in the current NOW! continuity. 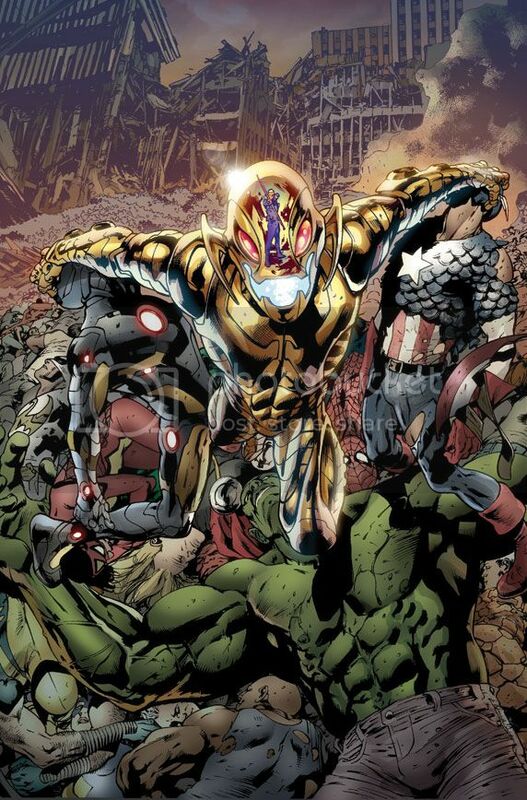 Why does Ultron look like that dude? Pass. I am done with events ( I say this all the time but I am tired of events) I will of course be getting the cross overs if they are in the series I read but other then that I have no interest. to combat evil with all Green Lantern's might!" wish they'd take a break between events,changing the the status quo every six years,not every six months,don't they know that the more you have of something the less valuable it becomes ? quality over quantity,come on ! Does the status quo ever really change though from events? It's just crossovers that end and then everyone goes back to what they were doing it, ignoring it like just another arc in comics imo. I won't go on a AvX rant here, but nothing has changed except writers and artists on most of the titles. very excited for this event... just read an article over on IGN.com that had some interesting info on Age of Ultron and how far back they have been playing this event. It was the first arc of the old run of Avengers, wasn't it? They travelled to the future to where Ultron had taken over and found out they had to stop him - then didn't bother for the rest of the run? In The Avengers Issue #1, Stan Lee himself wrote a line that will RESONATE through this event! After the die-cut covers for "Death of the Family", Marvel are jumping on the "enhanced" covers schtick for this one. Head on over to your local comic shop and reserve a copy of Age of Ultron #1, featuring a unique cover with foil treatment and design at no extra cost. what era is it again ? the 90's ? In some aspects it certainly seems like it. Guess one of the people in the production brain trust thought "He's on the cover and he's a robot... OOOHH!! Let's make him shiny!" 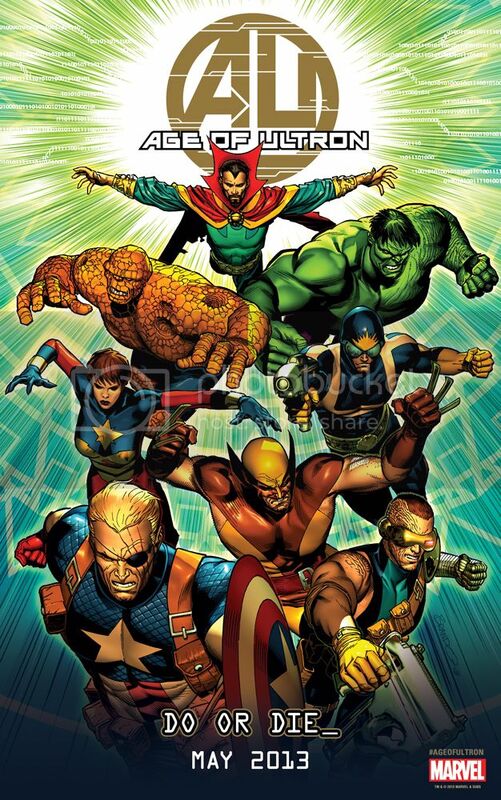 Newsarama has the cover to AoU #7... and, whooboy does it look snazzy! I'm a sucker for alternate timeline events and this looks to really crank it up! MOD: cover added for you.